Sartin Services, Inc., (SSI) designs and manufactures custom state-of-the-art ALS emergency response vehicles that can transport up to 24 stretchered patients, 24 ambulatory patients and 10 patients in wheelchairs. In 2007, the first 7 Medical Ambulance Buses, or MAB® units, were built for the National Capitol Region of Washington, DC. Today, Sartin Services’ MAB® units are supporting emergency response fleets all over the United States. 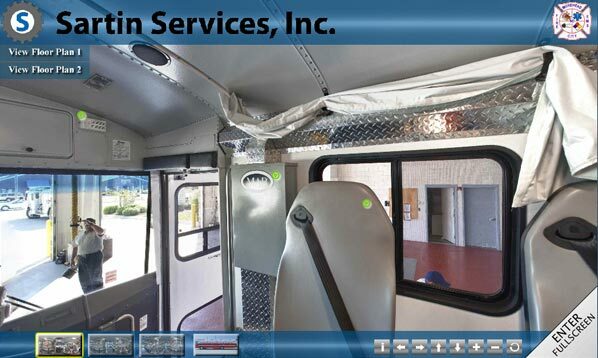 SSI also specializes in custom conversions including MAB® vehicles, Command Centers and Rehab Vehicles. Sartin Services operates from our headquarters and main manufacturing plant in Archdale, North Carolina. We have been a family-owned and operated company since 1987. We are proud to serve our customers from coast-to-coast. Our vehicles are an integral part of any mass casualty response plan; evacuating hospitals or nursing homes, responding to school and tour bus accidents, treating heat-related issues at marathons or other large public events, response to natural disasters or large scale accidents, the rehab of firefighters or as an on-site command center.